Note 2). With the difference in the measurement method, please allow 2-3 cm in size deviationALLKPOPER is a US brand in Kpop merchandise.Every allkpoper product undergoes an extensive testing and quality control procedure, ensuring each and every item purchased meets global quality standards.We are a group of kpopers.We just believe fans understand fans, and fans can serve fans better.We serve fans from virtually every country in the world , and our goal is to be able to serve every K-pop fan worldwide.Not Only We Sell K-POP Items, Also The Love For Our Idols. We promise to Develop the best K-pop goods and ensure the highest quality.Help you discover the latest K-pop merchandise from Allkpoper.comTips: this is Asian Size,usually smaller than us size,please check the size chart before placed an order. If you have any questions about size problem,message us,our customer service will give some advice. If you have any questions after received the package,such as do not want it any more,message us directly,we will give you the best solution. 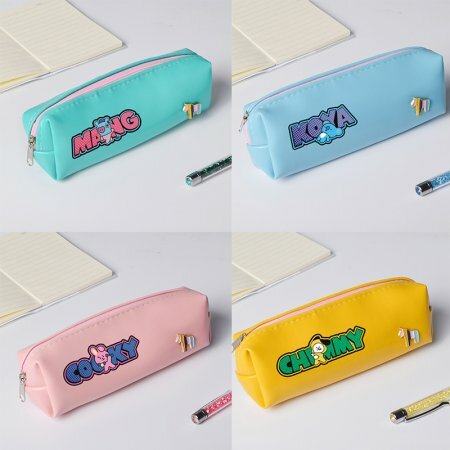 BTS Pencil Case Bangtan Boys Love..